-Cut a fresh lime into wedges. -Add one cup of sugar into a small bowl. -Dip the lime wedges in the bowl of sugar. -Beat the egg whites on high speed until soft peaks form about 2-3 minutes. Set aside. -Whisk together the flour, cornstarch, baking powder and salt. -Beat butter on high speed until smooth and creamy about one minute. -Beat on medium-high speed while adding in the egg yolk and vanilla. -Reducing the speed to low begin to add the dry ingredients, next add some of the milk. Alternate with the flour mixture and milk, mix after each addition, and ending with the addition of the flour mixture. Be careful to just blend the ingredients not over beat. -Using a spatula gently fold in the egg whites, pink gel food coloring and strawberry pie filling. 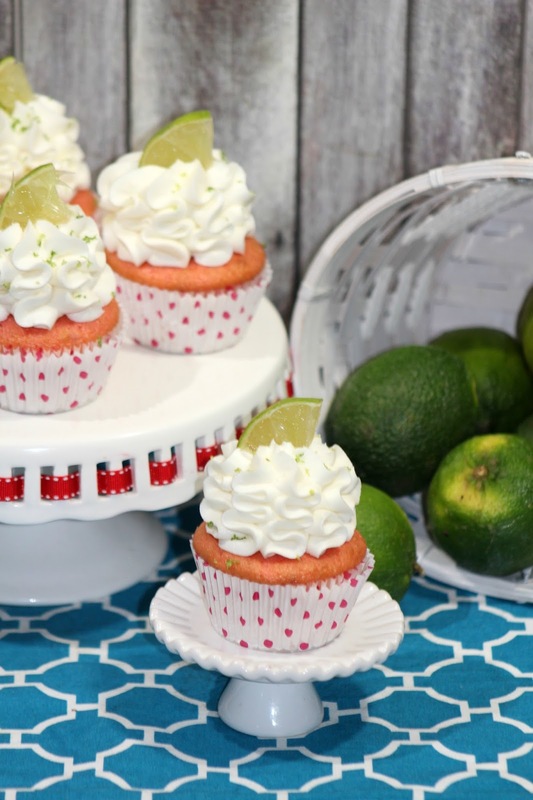 -Using a medium ice cream scoop fill the batter into the lined cupcake tins. -Bake at 350 degrees for 20-24 minutes or until an inserted toothpick comes out clean. -Allow to cool in the cupcake pan for about 5 minutes. 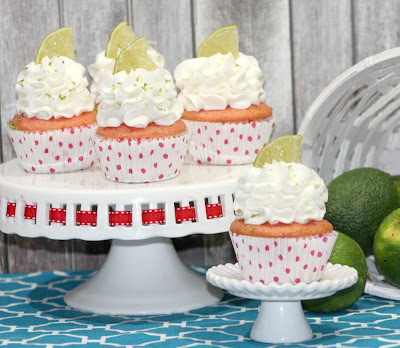 -Transfer cupcakes to a wire rack to cool completely. -Add the lime flavoring. Mix well. If it doesn't cream add several drops of the heavy whipping cream until it creams. - Add more powdered sugar 1/2 C at a time.... mix well. -Sprinkle lime zest on top of the frosted cupcakes. -Place a sugared lime wedge in the center of the frosted cupcake. 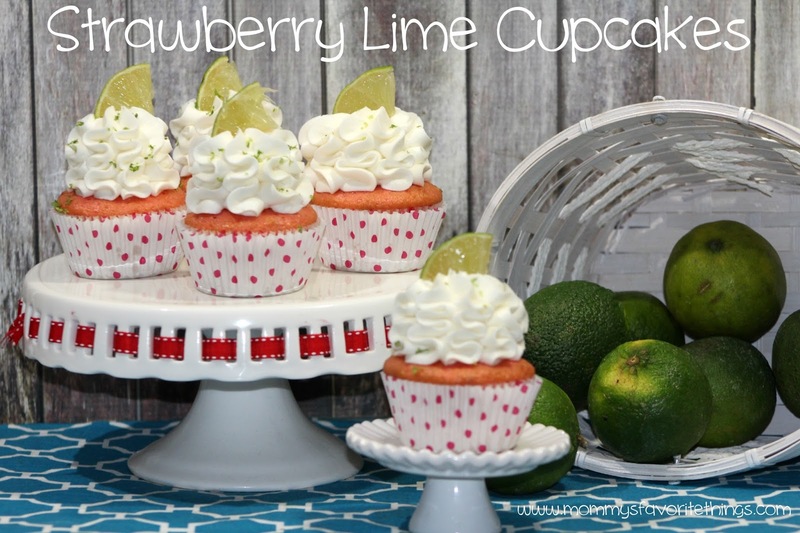 These Strawberry Lime Cupcakes are just beautiful. I would be very proud to make them like this and bring them to a party! I am sure they are delicious! These look so nice. 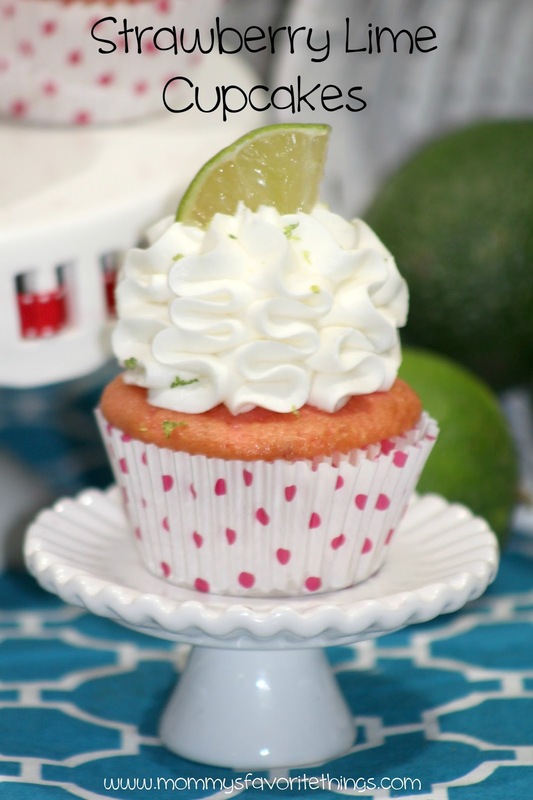 One of my daughter's favorites is the combo of strawberry and lime so I will be making these for her Birthday. Thanks for sharing.